Enjoy the top 1 famous quotes, sayings and quotations by Chaz Day. 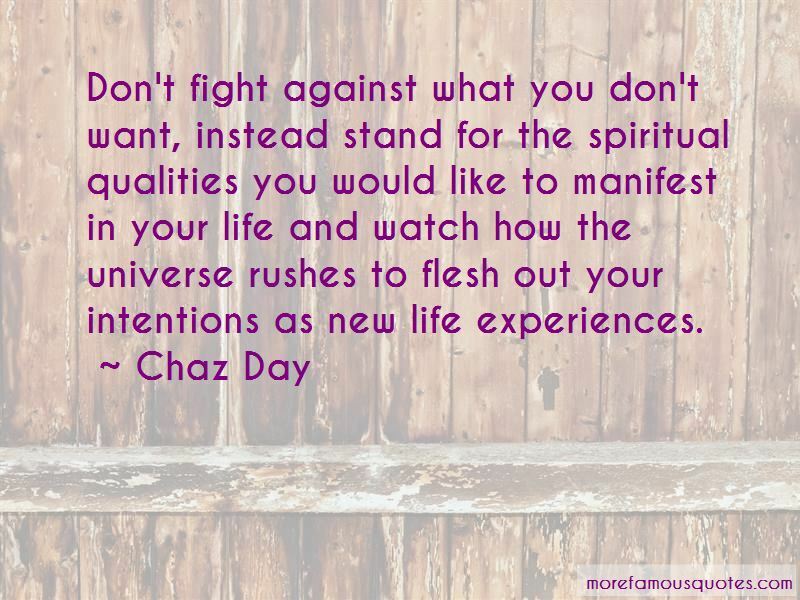 Don't fight against what you don't want, instead stand for the spiritual qualities you would like to manifest in your life and watch how the universe rushes to flesh out your intentions as new life experiences. Want to see more pictures of Chaz Day quotes? Click on image of Chaz Day quotes to view full size.